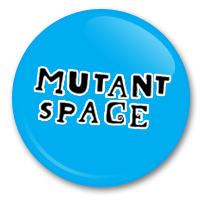 The fifth Mutant Shorts event, and the fourth in the ‘Rooms’ series takes place next Friday May 6th at the Roundy at 6pm. Tickets are €5 and will give you a chance to see some of Cork’s filmmaking talent on the big (ish) screen. It’s a competition but it’s also a coming together of people who are interested in films and filmmaking alike. Previous competitions have used Hallways, Kitchens, and sitting rooms as themes, this time around it’s the bathroom; well, it had to crop up sooner or later! Next Friday will show how the filmmaker’s have put their imaginations to use this time around.